Future Earth is a newly launched 10-year research program by the International Council of Science (ICSU). The major goal of the Future Earth program is to deliver, at global and regional scales, the knowledge that societies need to effectively address global change while meeting economic and social goals, by answering the most pressing questions in the context of securing human development in an era of rapidly escalating global environmental risks. The Dynamic Planet, Global Development and Transformations towards Sustainability are the three key research themes of Future Earth. Since its official launch in 2012, Future Earth has received strong support from international communities and is becoming a global research platform. The implementation and success of the Future Earth program depends critically on the availability and utilization of geo-information at multiple scales. Nowadays, people are producing/generating more and more geo-data sets at both local and global scales with earth observation, web-sensors, crowd-sourcing and other technologies. Landsat data is the most well-known image data which has been widely used by international communities. GlobeLand30 is the first open access 30m global land cover dataset with 10 classes for the years 2000 and 2010 ( www.globeland30.org). However, a better understanding and sustainable development of our planet has asked us to provide more detailed and up-date geo-information about the Earth and its environment and other physical objects and processes. For examples, GEO (Group on Earth Observation) has identified a group of critical variables to be derived for the nine Societal Benefit Areas (SBAs). The bio-diversity people have also defined a set of Essential Biodiversity Variables (EBVs) and some of them can only be obtained with the help of remote sensing and GIS technology. It is becoming a huge challenge for us to provide the right geo-information, in the right place, at the right time, and the right people for making appropriate decisions at both local and global scale. With the dramatic increasing of the geo-data volumes, we are entering a data-intensive world or an era of so-called big data. People wish to share all data resources distributed across regions or have an easy access to the massive quantities of data. This can be facilitated by setting up a web-based spatial information platform for easier access to diverse and distributed data. Effective analysis tools are requested to derive meaningful knowledge from these large data sets. With the recent development of Model Web, it would be possible to find the desired algorithms and models from the internet catalogues, and re-use them using a combination of complex workflows and an execution over a distributed architecture. In addition, advanced visualization, animation and interaction tools are also needed to enhance the understanding of the massive and dynamic datasets. Supporting Future Earth with reliable global geo-information provides our geo-spatial professionals a good opportunity for advancing photogrammetry, remote sensing and geo-spatial sciences, for promoting spatially enabled government and societies, and facilitating easier access to geo-spatial education. However, a number of key issues remain to be examined, such as the user requirements, the major challenges and key gaps, and cross-boundary collaboration. ISPRS plans to organize an international workshop on this subject (http://ngcc.sbsm.gov.cn/article/en/GLC2015/) from 9-10 June, 2015, in Beijing, jointly with other sister organizations. This workshop will present the latest development of global spatial data production and sharing, exchange successful application experiences of global geo-information, examine up-to-date user requirements and key gaps, and identify major challenges. It aims at promoting the multi-disciplinary collaboration towards providing reliable global geo-information to support Future Earth. A special issue has also been planned in International Journal of Digital Earth (IJDE) and will be published at the beginning of 2016 as the output of this workshop. You are welcome to join us and to support Future Earth! "From human history to the future with spatial information"
2016 is the year of the Summer Olympic Games in Brazil and of the XXIII ISPRS Congress. 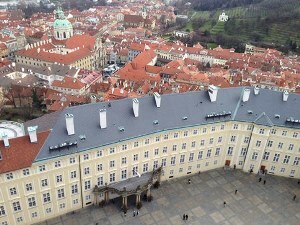 It will be the first time that the Congress will be held in the Czech Republic. Prague, the hosting city, welcomes many congresses all the year round. The Congress date is for us, the organizers, in the near future. We have booked the Congress venue – Prague Congress Centre and 3000 hotel rooms. The ISPRS Council members and Technical Commission Presidents have approved the Congress Reviewing System including its time schedule. Registration will be opened on 12 July 2015. ISPRS will continue in two previously used proceeding types. The older one is called Archives with reviewed Abstract. Archives have already reached Thomson & Reuter CPCI and are registered in SCOPUS. The ISPRS Council aims to achieve the same evaluation for the younger proceeding type – Annals. The Annals are proceedings with double blind reviewed Full Papers. The deadline of Full Paper Submissions to Annals is on 30 November 2015. The deadline of Abstract submission is on 13 December 2015. The Congress program will offer many scientific and also business sessions. The programme will be preceded by Tutorials, which will be a source of basic knowledge to the interested participants. ISPRS will organize two Forums – the National Mapping Agency Forum and the Space Agency Forum – within the Congress week. The Forums will bring together participants from these agencies and allow them to meet during one joint session as well. All Congress participants will have access to the Forums. Students are welcome to take part in the ISPRS Summer School. It will be held in Telč, a beautiful town south–east of Prague. The team preparing the entire Congress programme is finalising the last steps for Technical Tours. They will allow participants to visit interesting places in the Czech Republic – Czech Office of Survey, Mapping and Cadaster, and abroad - Microsoft’s UltraCam Company, e.g. The social program - concerts, theatre, boat trip and gala dinner - is planned for the evenings. A large range of optional tours are already prepared for participants and their families. All these parts will be described in greater detail in the Second Announcement which will be launched in the first half of March 2015 on the Congress page. 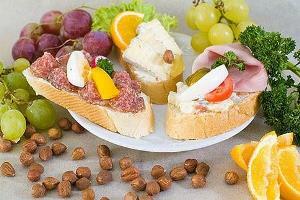 The original Czech cuisine is that of a country where half the year is cold and which has no coastline. It means that most meals are relatively energetically strong with a shortage of vegetables. Nowadays, the dietary specialists, together with many people travelling abroad, have introduced new variations – a higher amount of vegetables and fruits in individual dishes and meals and fewer dumplings. Breakfast usually consists of bread (dark bread) and/or rolls or a bun (white pieces of bread) with butter, jam, cheese, salami, sometimes with scrambled eggs. Children receive a snack (a sandwich and some fruit or vegetable) for school from their parents. Adults prefer to have a coffee with a biscuit mostly without any interruption of work. Lunch is the main meal in the day. It is served between half past eleven and 2 p.m. It consists usually of a soup, main dish, salad or bottled fruit and sweets. Hors d’oevre is served only in special cases or in a restaurant. Afternoon snacks are not served very often especially on working days. Dinner is a smaller meal while in most families sometimes only in the form of a cold dish like cheese, spread, salad usually followed by evening coffee or tea. Most families prepare their dinner to be served between 6 and 8 p.m. Generations of our predecessors served a lot of warm dishes without meat – various types of puree, gnocchi, pancakes, pasta and dumplings. Dumplings are quite famous, however, their role is smaller now. They can be prepared stuffed with jam, white sweet cheese cream, fruit – plums or apricots mostly and form the entire dish. In case they are served with meat they can be made from flour and small bun cubes or potatoes and they are just a side part of the dish for meat baked or boiled with a sauce. Sweet pancakes can be similar to those in France, with jam or white cheese cream or even as a palm size one with jam and yoghurt, e.g. salted pancakes are mostly potato pancakes made either from boiled or fresh potatoes. The fresh potato pancake is very popular and is served as a side or main dish. 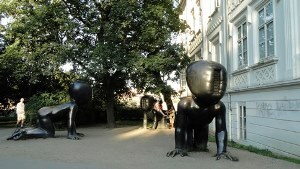 It is called bramborák (or bramboráček) or cmunda. The most famous "Sunday" dishes of the original cuisine are duck with boiled cabbage and dumplings (both salted types), baked pork with boiled cabbage and various dumplings and beef sirloin (in a relatively thick sauce) with dumplings. There is one speciality in my country. These are "chlebíčky" (small size white bread slices) covered in butter or spread and beautifully decorated with a combination of pieces of cheese, ham, salami, vegetables – fresh or bottled in a sour liquid, etc.. They are mostly prepared by house wives for important dinners; however, you can buy them in many shops with cheese and salami. However, you do not have to be afraid of Czech cuisine, as my country is quite international from that point of view and you can find Italian, Mediterranean, Chinese and Indian restaurants here or even these dishes in many restaurants. And what about to drink? More in my next column. Cheese, salami and ham "chlebíček"
A call for review papers for the ISPRS Journal Theme Issue with a deadline for submission on May 15, 2015 is now open. For information see here or visit the ISPRS home page. Airborne high resolution oblique imagery systems and RPAS/UAVs are very promising technologies that will keep on influencing the development of geomatics in the future years closing the gap between terrestrial and classical aerial acquisitions. Although the interest for the registration and integration of aerial and terrestrial data is constantly increasing, only limited work has been truly performed on this topic. Several investigations still need to be undertaken concerning algorithms' ability for automatic co-registration, accurate point cloud generation and feature extraction from multi-platform image data. In current research especially the question on how large changes of perspective and scale differences need to be tackled in image orientation and (dense) image matching is not approached systematically. One of the biggest obstacles, however, is the non-availability of reliable and free datasets to test and compare new algorithms and procedures. The Scientific Initiative "ISPRS benchmark for multi-platform photogrammetry", run in collaboration with EuroSDR, aims at collecting and sharing state-of-the-art multi-sensor data (oblique airborne, UAV-based and terrestrial images) over an urban area, with the overall goal to identify the current status of research and to stimulate further work. As of now the first part of the data is released: the dense image matching benchmark. By providing image calibration and orientation information we make sure that all participants produce their point clouds in the same coordinate frame, so that results can be compared easily. The Remote Sensing Center of the United Arab Emirates University (UAEU) in Al Ain, which is the ISPRS Ordinary member in the UAE, has requested to have its membership category raised to 6. UAEU reported that, in line with the growing importance of the geospatial area in the Gulf region, the number of experts working in this field warrant this change in category. Council has accepted the request, which clearly demonstrates the importance of our disciplines in the construction work going on e.g. in Dubai and Abu Dhabi. ISPRS is proud to announce a new Sustaining Member, FOXEL SA of Switzerland, experts in stereophotogrammetry and 3D-metric Environment Digitizing. FOXEL specializes in the development of Geographic Information Systems (GIS) designed to capture, store, manipulate, analyze, display and manage all types of spatial or geographical data. See www.foxel.ch/ for details. Prof. George Milev, the long-standing President, was elected as an Honorary Chairman of the Union. On behalf of ISPRS, President Chen Jun congratulates Prof. Milev to this highly prestigious honour and thanks him for his longstanding contributions to the Bulgarian Society and to ISPRS. With his continuous efforts, ISPRS has been able to establish a closer link with Bulgaria. At the same time, ISPRS is looking forward to continuing the close collaboration with Ivan Kaltchev and his new team. 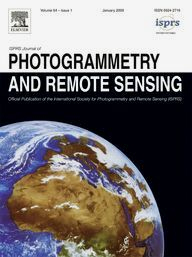 Building Earth Observation Cameras, CRC Press. At the fourth session of the United Nations Committee of Experts on Global Geospatial Information Management, at the UN Headquarters in New York, August 6-8, 2014, the initiative of ICA - the International Cartographic Association - on an International Map Year 2015/16 was positively discussed. We congratulate our sister society to this great success. The International Year of Light, a UN initiative to raise public awareness of the importance of photonics on everyday life, was officially launched at a ceremony at UNESCO in Paris on January 19. Photonics is the science and technology of generating, controlling and detecting photons, or light particles. The 68th UN General Assembly declared 2015 the International Year of Soils (IYS). The International Council for Science, in partnership with the International Social Science Council, released a new report which provides an independent review of the 169 targets under the proposed Sustainable Development Goals (SDGs), which are set to be approved at the General Assembly of the UN in September. We would like to invite you to the ISPRS Geospatial Week 2015 to be held in the South of France, from 28 September to 3rd October 2015. The Geospatial Week is a bundle of already established conferences/workshops but also emerging events. Submission deadline is 15 April 2015 for all events but Silvilaser (5 April). Sponsorship and exhibition information are available upon request. The traditional XXV International Anniversary Symposium organised by the Union of Surveyors and Land Managers in Bulgaria will take place in Sofia on November 6-7, 2015. It features a special session for young scientists and students. The 3rd International Summer School on Mobile Mapping Technology (SS -MMT 2015) joint with the 2nd International Symposium on Computer Vision will take place at Xiamen University, Xiamen, China, from 26-30 April 2015. SkyTech 2015 is the latest addition to the UAV industry calendar. SkyTech is a one-day conference and exhibition serving as a platform to define, understand and ultimately integrate UAVs into the commercial sector. SkyTech is completely free to attend and will bring together 60 exhibitors, 40 speakers and over 1000 attendees from a range of targeted industries. The 3rd Latin American Remote Sensing Week LARS will be held in Santiago de Chile, in 2016. Please note that although in previous years this event took place in October, the 3rd LARS will be held between 29 March and 1 April 2016. You are invited to be part of this important event. Kocaeli University, Theness Hotel in Kocaeli, June 10-12, 2015. The main philosophy of the biennial earthquake symposium once in every two years is to build a sustainable atmosphere in which all scientists around the world come together and share their knowledge about their subjects related to Earthquakes. The international scientific conference "Our Common Future under Climate Change" will take place at UNESCO in Paris in July 2015. Building on the results of IPCC 5th Assessment Report (AR5), the conference will address key issues concerning climate change in the broader context of global change. Accuracy and Effort of Interpolation and Sampling: Can GIS Help Lower Field Costs? Ahmed, Bayes, Hasan, Rakibul, Maniruzzaman, K. M.
19-Jan-2015 Full Time Marie Curie Experience Researcher Position in the field of "Machine learning in processing 2D/3D/4D cultural assets"